The world leader in innovative headset solutions through its Jabra brand, GN Netcom has announced its latest Jabra M5390 USB and BT530 USB Multiuse Bluetooth headsets, which can pair with up to 8 devices including PDA/cell phones and wideband PC soft-phones, aiming to provide users an ultimate hands-free experience. In addition, both of the latest Jabra Bluetooth headsets can be paired to two devices at the same time. 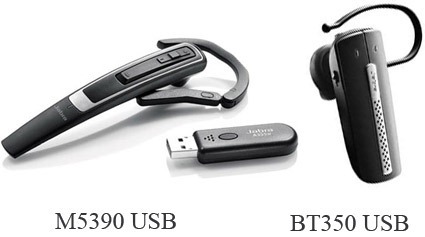 The latest Jabra BT530 USB is now available for $129, while the Jabra M5390 USB will hit the market by January 2009 for $191.